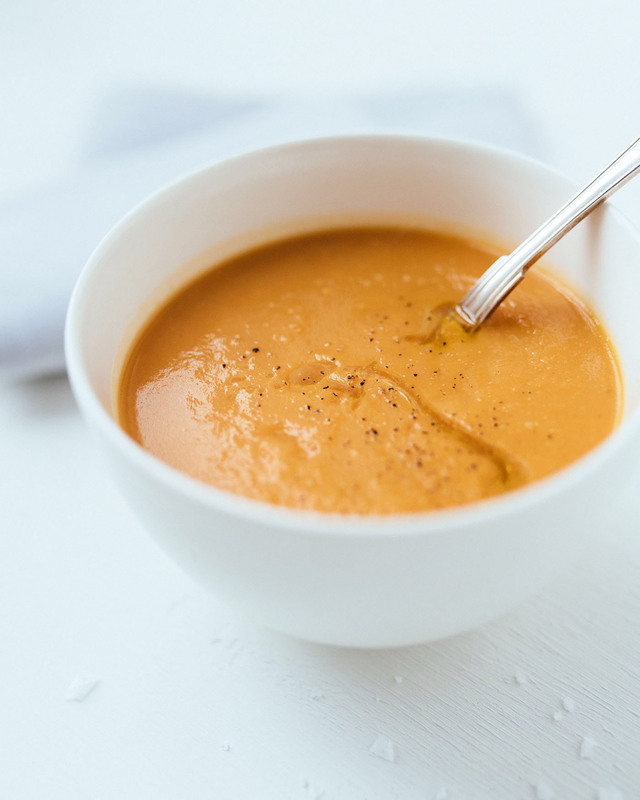 Sweet potato soup is easy to make, easy to digest, and comes with soul-soothing benefits. 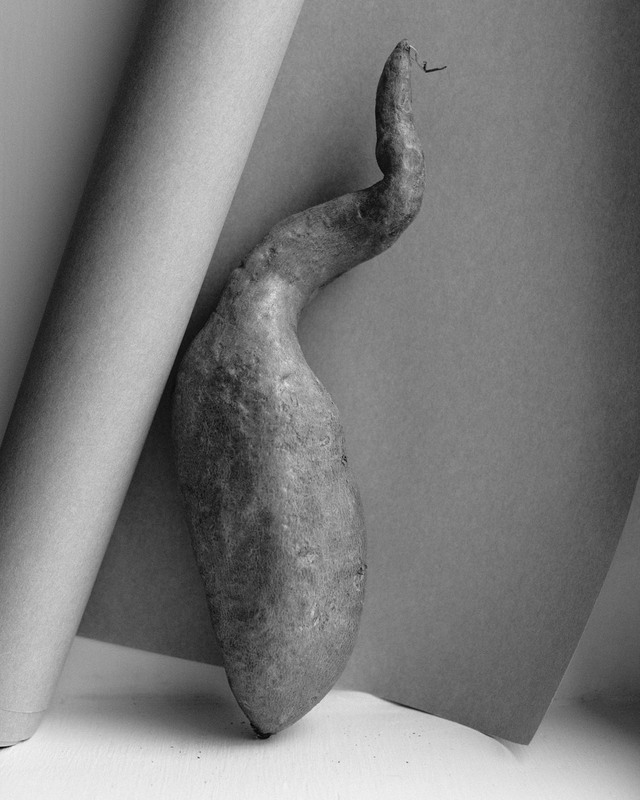 Sweet potatoes are an excellent source of prebiotics, a type of fiber that feeds the beneficial bacteria in your gut. It is the time of the year for eating soups that gently nourish and hydrate the body. Pure vegetable soups are comforting and yammy. They also have gut-healing properties as they are easy to digest and they contain prebiotics: a type a fiber that feeds the beneficial bacteria in your gut. When aiming for a more healthful and mindful lifestyle, I believe adding good habits is often more effective than using all your willpower to get rid of the bad ones. If you tend to eat too much, and feel stuffed but not necessarily satisfied after eating, try beginning your meals with a small bowl of homemade soup. This will help you create a sense of fullness and be more mindful when having your main course. I usually make a large pot of soup at a time, and warm it up for a light meal or starter the following days. Peel sweet potatoes, carrots, onion, garlic, and a thumb size piece of ginger, if using. Wash celery stacks. Chop all ingredients. In a large saucepan over medium-high heat, warm up a generous amount of olive oil. Sauté onion, garlic and celery in oil for two-three minutes, keeping the heat in check. You want to soften the ingredients a bit and open up their flavor but nothing should burn or turn brown. Add chopped sweet potatoes and carrots and ginger, and pour over water so that it covers all ingredients. Instead of cold water, I prefer adding pre-heated water from electric kettle. Let vegetables boil for ten to fifteen minutes. Then turn off heat, season lightly with good sea salt and let the soup rest for a good while, at least half an hour. This is the soup-harmonizing step, and I believe it is crucial for bringing out the beautiful flavors of each ingredient. Make sure the soup has cooled down before you puree it. A Vitamix gets the job done in no time, but a hand blender works just as well. If you find the soup too thick, adjust the consistency with water. Before serving, warm up the soup, and add final seasoning if you like some. I usually sprinkle the soup with olive oil, some black pepper and sea salt flakes, but using a very light hand. The purpose of this soup is not to be overly decorated or stuffed with complex flavors. Instead, it celebrates my favorite cooking philosophy: finding the best natural ingredients and letting them taste like they naturally taste. Add to the vegetable mix: a medium butternut squash and a thumb-sized piece of ginger, both peeled and chopped. Season soup with ground turmeric and paprika. Before pureeing, add a can of coconut milk.